Why do internal links matter? Importance of Internal Linking, it also connect your content and give an idea to the Google of the structure of your website. Using the right Internal Linking strategy can boost your SEO. Authority Flow: In the internal linking you send the link equity to another page. This helps to build authority for the website. Indexing: When Google indexes the website internal links allows indexing in a greater speed. Bounce Rate: Having a number of Internal links in the website decreases the bounce rate. It also increases page views/ average time spent on the site. Sales Funnel: If you are trying to sell a product structure the site in a way that the internal links guides to the important page on your site. Use Exact match anchor text. Use exact match and keyword rich anchors when linking internally. Anchor text is the visible and clickable text in a link. It matters as long as the backlinks matter. Before the Penguin update, you can wild with your anchor text. To create a natural anchor text profile understand different types of anchors. i. Branded Anchors: Here in the anchor text they use the brand name in it. ii. Generic anchors: They are typically calls-to-action like: go here, click here etc. iii. Naked link anchors: Anchors that use URL is considered as a naked link. iv. No anchor trick: This is a tricky strategy that is used by big brands. One of the easiest ways to build “noText” anchors is through images or to simply forget to include anchor within an article. v. Image Anchors: Google uses ALT tag as the anchor text in the image. vi. Brand & Keyword Anchor: This is a way to build a diverse, natural anchor profile. vii. 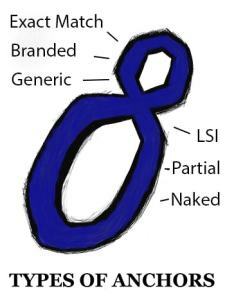 LSI Anchors: Latent Semantic Indexing – LSI. This means variations of the main keyword. viii. Partial Match Anchors: This is similar to LSIs. Here you create variations. For eg: for the keyword “anchor text”, you can use the anchors like”this anchor text guide, read this anchor text post”. ix. Exact match anchors: These are known as the king of all anchor text. This anchor texts have the power to increase the rankings and similarly have the power to get a penalty by Google. 1. Place the target keyword somewhere around the anchor text. 2. Keep the anchor text in relevant content. This section shows the anchor text percentage that keeps the website safe. Exact Match Anchors: less than 1%. Exact Match Anchor-> Branded Anchor-> Partial match anchor-> Naked Link anchor-> generic anchor-> Branded anchor-> exact match anchor. 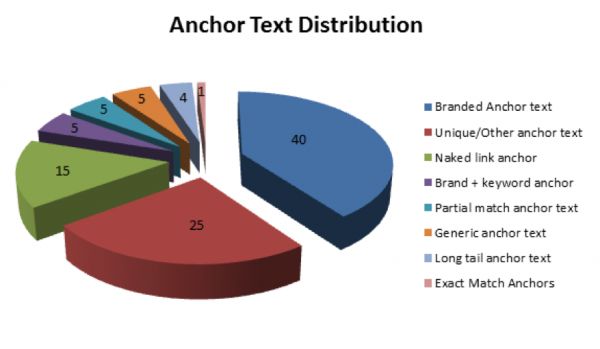 Understanding where to place the anchor text is critical for the success of link building. Here is how you need to get the backlink with the anchor text. Power backlinks: These links have a big impact on the keywords rankings. Here you should concentrate on keyword-rich anchor text. Editorial links: These links are placed in content on the website and take lots of time to acquire. Editorial links are the opportunity to use exact match or partial match anchor. Guest Posts: Use unoptimized anchors as Google cracks down the guest posts. Resource Pages: Resource pages allow branded anchors or title of the resource. Private Blog Networks: Use exact and partial match anchors. 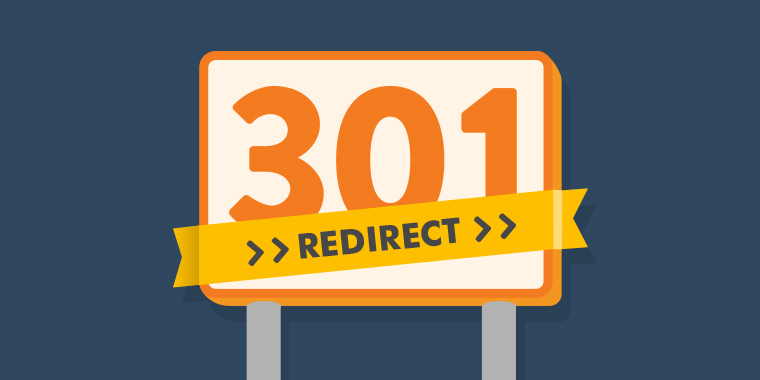 301 redirects are like stealing rankings in Google.301 redirect is a permanent redirect of a website. With 301 redirects the majority of the authority is transferred to the new domain. 301 also transfers the anchor text from the redirected domain. That means if the redirected domain has the spammy profile, it will also get transferred to the website. Look if a website has the good amount of unoptimized anchor. Have unoptimized anchors that redirect if the anchors are aggressive. Paid directories, directories, business citations, press releases, forum signatures, sidebars, footer links, social bookmarks etc. Panda penalty-> thin, duplicate content+over optimized site+poor user experience. Keyword Density: First of all fix the keyword density issues. Place your focusing keyword in title, first sentence, alt-tag of first-image, first H1 or H2 tag, last sentence. Keyword Dilution: This is when you try to rank for more than one keyword for the same page. Keyword dilution confuses Google because. Disavowing is the last resort when your website is hit with negative SEO.